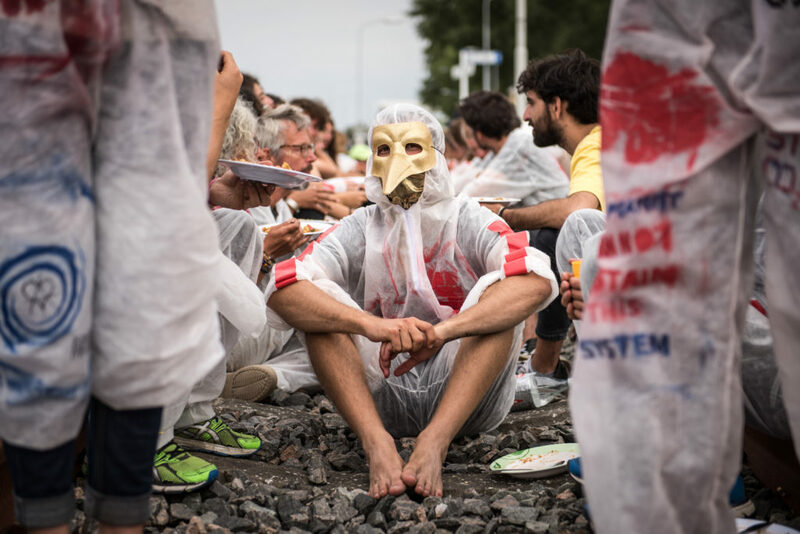 Code Rood is a powerful network of climate activists that organises and supports mass civil disobedience actions to stop the destruction brought about by the fossil fuel industry. Code Rood focuses on breaking the power of the fossil fuel industry and to mobilise people into taking serious action against climate change. Oil, gas and coal must be kept in the ground in order to stop climate change. When it comes to taking a serious approach to tackle the climate problem, the Netherlands is falling far behind. Coal plants are still open, the NAM (Dutch Petrol Association) is still pumping billions of cubic metres of gas, traffic flows on the roads and in the air continue to increase as well as industrial agriculture and factory farming. As a result, greenhouse gas emissions keep on rising. On the 24th of June 2015 a judge issued a historic verdict: the Dutch state was ordered to protect its citizens from dangerous climate change. However, instead of setting to work immediately and taking its duty of care towards its population seriously, the Dutch government decided to appeal against the ruling. Meanwhile, emissions keep on rising and the fossil fuel industry can continue without any restrictions. 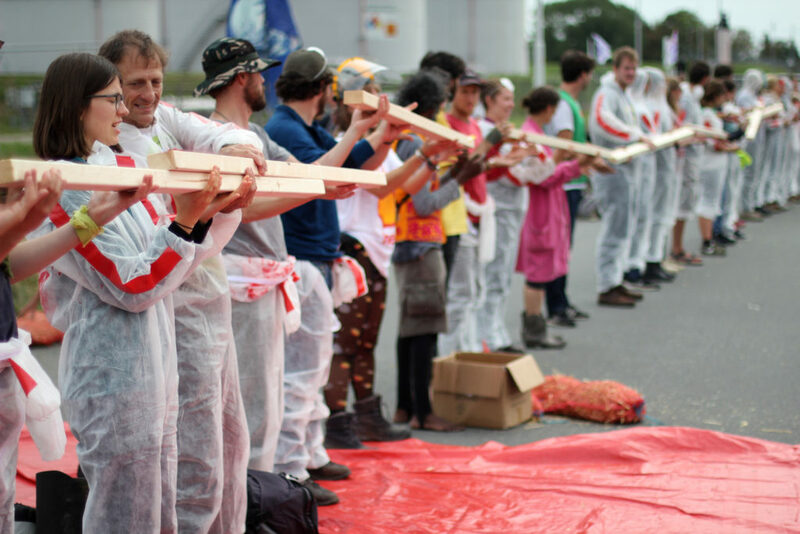 Climate activists organised in Code Rood aim to draw the line. By using mass civil disobedience as their core strategy, they aim to stop the fossil fuel industry to continue their dirty business. In 2017, they focused on the coal industry in the Amsterdam Harbour. In 2018, the focus is on the gas extraction in Groningen. The Dutch Province of Groningen is home to the biggest natural gas field in Europe. It was discovered in 1959 and has been exploited by a consortium of Royal Dutch Shell, ExxonMobile and the Dutch State. From the start, there have been warnings about gas extraction induced earthquakes that could develop once the field enters its depletion phase. Those warnings have always been denied and ignored. However, since the early ’90s more and more small, and sometimes bigger, earthquakes began to occur. In 2012, the region was struck by a third strong earthquake, causing widespread damage to the houses of about a 100,000 people living in the area. In some cases, people had to leave their houses as the conditions were unsafe. Getting the damage repaired and compensated for has been a scandalous struggle as it has been unjustly managed by the local extraction company for a long time. In total, more than a 1,100 earthquakes occurred after 2012, slowly destroying an ever-increasing amount of buildings in the area. In several court cases local organisations and municipalities forced the government to lower natural gas production and get compensation for damages. After a strong earthquake in January 2018 it can no longer be denied that the gas field has to be shut down totally. 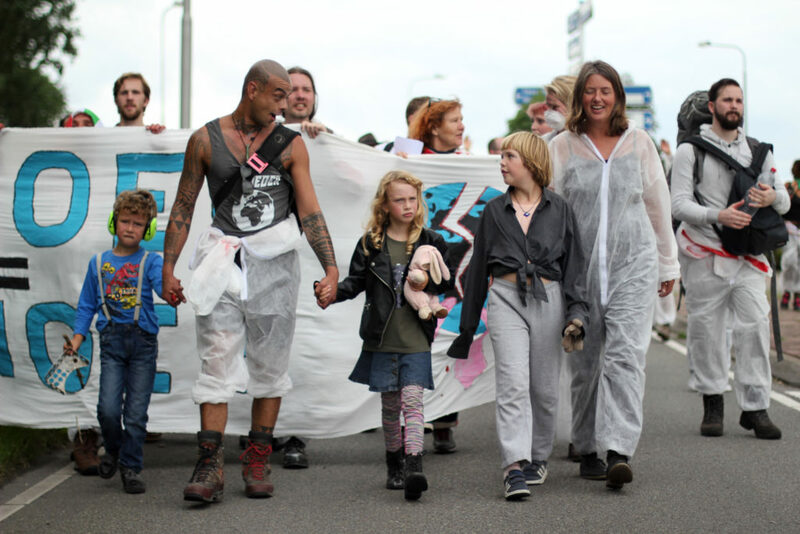 The Dutch government announced it will stop the gas extraction by 2030, but most activists believe that is much too late. Ironically, Shell and Exxon are using this decision to further delay and block compensation for damages as well as investments in strengthening building to make them earthquake proof. This course of events is unacceptable to the people in Groningen. In addition, there is an urgent climate need to stop extracting and burning fossil fuels. Contrary to industry propaganda there is no room for burning more natural gas to replace dirtier oil and coal. We have to switch from coal and oil directly to renewables. Therefore, 2018 is a crucial year. After the strong earthquake in January, local groups in Groningen organised a protest torch walk that attracted over 15,000 people. The local organising groups indicated it would be the last legal demonstration and are preparing for civil disobedience. After a crucial court case in November 2017, the Dutch government was forced to come up with a totally new gas extraction policy before November 15th 2018. The period just after the summer will be a crucial window of opportunity to force policymakers to plan the early shutdown of the field. 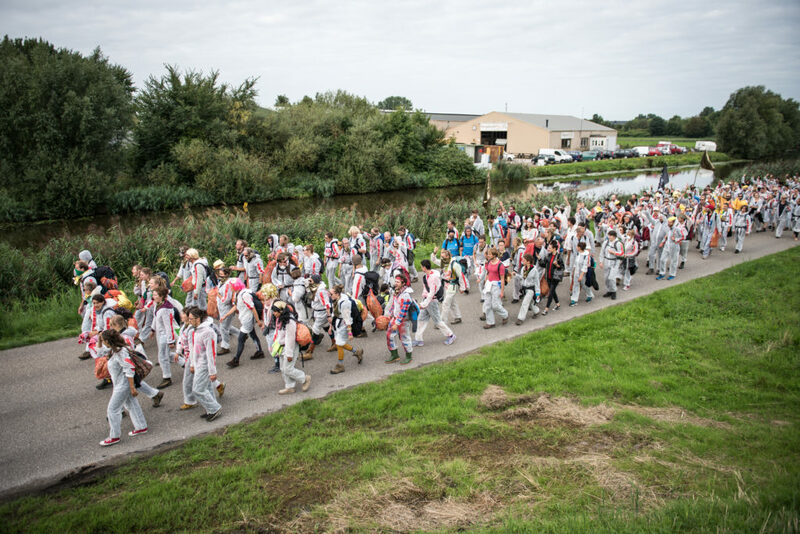 In August 2018 Code Rood organised a mass civil disobedience action targeting the natural gas extraction in the North of the Netherlands (Groningen area). 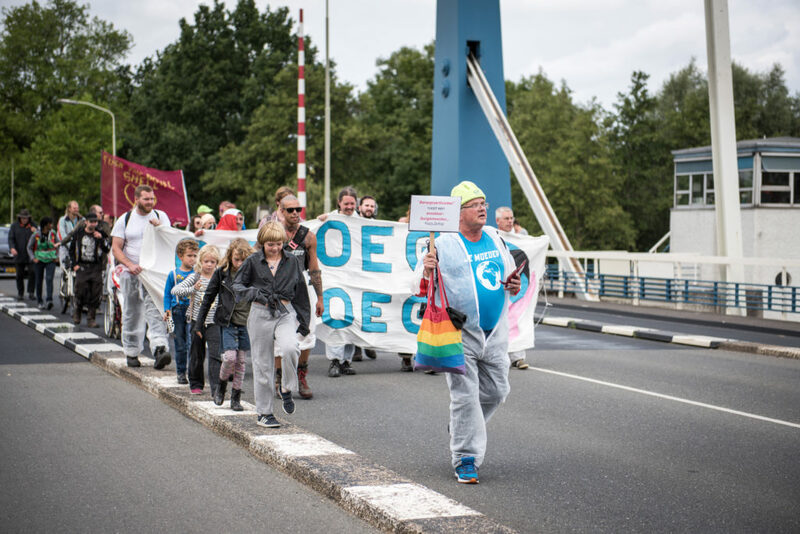 With 700 people, they blocked the entrance of a tank park in Delfzijl, where toxic gascondensate is stored, for 50 hours. In preparation of the action they organized 4 action conferences, 12 mobilisation events, 7 action trainings, 2 media trainings, a week-long action camp in Groningen and numerous meetings of different working groups. They look back at it as a successful action, that received local and national media attention and strengthened their collaboration with local resistance groups in Groningen as well as climate movements from neighboring countries. 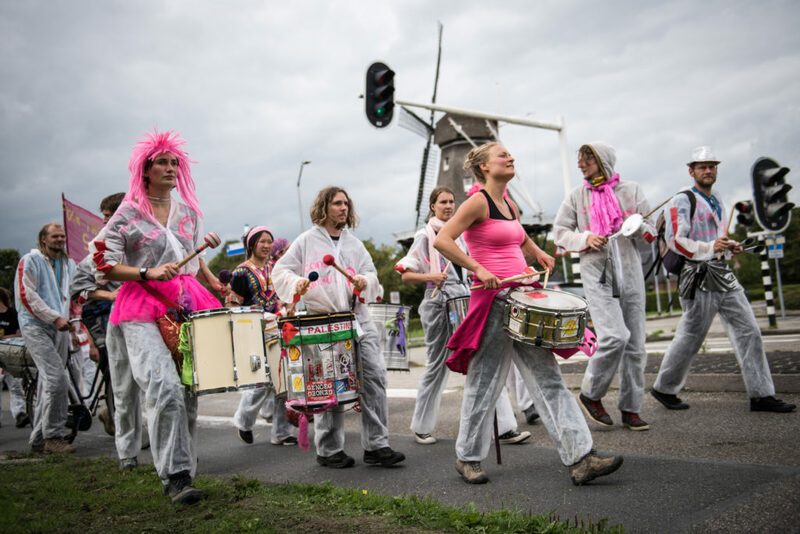 Between April and August, 12 mobilisation events were organised in Amsterdam, Utrecht, Nijmegen, Rotterdam, Groningen, Maastricht and Wageningen to inform people about the action and how to participate. 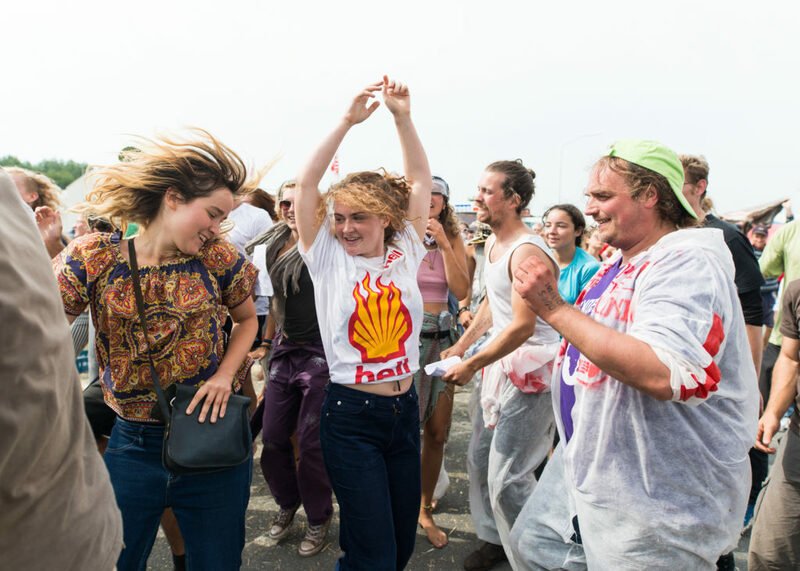 The events were announced on the Code Rood website, Facebook page and regular newsletters, and were sometimes combined with film screenings on natural gas extraction or social movements. The events usually attracted between 10 and 20 people who were interested in learning more about the Groningen action and civil disobedience. In the months leading up to the action, 7 action trainings were conducted, for a total of 190 participants. These trainings last a full day and they thoroughly prepare the participants to engage in direct action. The trainers educate participants on the aims and strategies of direct, non-violent action and civil disobedience and legal and safety issues. The trainings also include practically experiencing the crossing of a police line and engaging in a sit in. Oftentimes, participants used the training to form buddy teams and affinity groups ahead of the action. They organised two media trainings for spokespersons (14 people in total) in August: One in Amsterdam and one in Loppersum (Groningen). These trainings aimed to strengthen their media messages and communication and interview skills. An experienced media specialist facilitated the training, which also included role plays. In preparation of the action the CoPla (Coordinating Platform) and the different working groups met on numerous occasions. In principle, the working groups work independently and coordinate their work through the CoPla. Overall, this worked well although improvement is possible. They estimate that the total number of volunteers that worked on the Groningen action in one way or another is over a hundred.